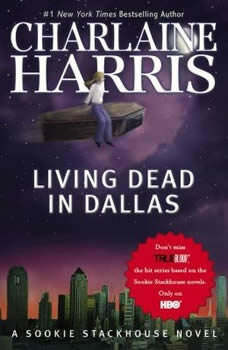 This is the second book in Charlaine Harris’ popular Southern Vampire Mysteries series. Telepathic vampire maven (and cocktail waitress) Sookie Stackhouse has been tasked with locating an abducted vampire and suppressing an upstart anti-undead religious cult. Hot on the heels of Kissing Sin, Riley Jenson—half-vampire, half-werewolf—returns in her most dangerous mission yet: facing the chilling evil behind the secret cloning lab. I am a big fan of True Blood on HBO and have been reading the books while the show is on hiatus. This book was used for season 2 of the series. There are differences glore! But it is a page turner and a very quick read! I loooooved it! I was sad that it ended so quickly!